Your cameras have been recording since you had them installed last month.You haven’t given it a second thought, until today that is. You have to search a months worth of video recordings for one specific event. Or do you? Now with the new Ella Intelligent Video Search Engine, this process has been simplified. Use the Ella Mobile App to search your security footage using a Google like search engine. Ella is a new real-time Search Engine that augments surveillance systems with natural language search capabilities across recorded video footage. This system uses deep algorithmic learning tools to give any surveillance or security camera the ability to recognize objects,colors, people, vehicles, animals and more. 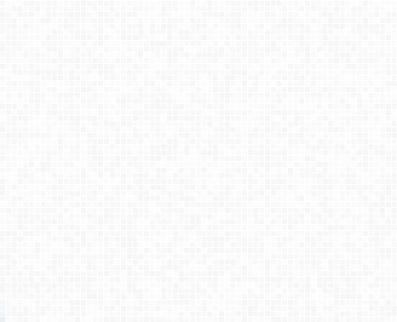 Every nanosecond of video is now searchable instantly, letting users type in keywords like “white truck” to find every relevant clip instead of searching through hours of footage. Ella quite simply creates a Google for video. The app features a dynamic but easy to use interface that acts like a simple search engine along with easy access to all your relevant video clips. Ella gives users the ability to vote clips up or down,helping the system get even smarter and customized for their preferences and ultimately will show them only things they really care about. The search feature works much like Google, prompting users as they type in letters through natural language process to find common words and search terms. The app also lets users view their live video feed. Give GreenLink Technologies Inc. a call today to schedule your estimate today! Please feel free to call with any questions. You may also view introductory videos here. 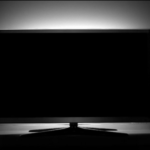 HD TV Lighting Tips From GreenLink Technologies Inc.
You have spent the last week (maybe even longer) researching your next television. Which brand has the best picture, the most vivid colors, and where to purchase the tv for the best price. Now that you have the perfect television selected, and you have hired GreenLink Technologies Inc. to mount it; lets make sure that you get the absolutely best from your new purchase! What is HD TV Lighting? HD TV lighting or “Bias Lighting” as it is also referred to, is lighting that has been placed behind a television to increase the ambient light around the screen. This type of light helps to reduce the strains and fatigue of the viewer’s eyes. Our eyes perceive gray to be darker and richer when seen against a lighter background and more washed out when seen against a dark background. Illuminate the wall behind your screen and the same contrast illusion takes effect: the grays and blacks on your screen will appear richer and the contrast will seem stronger between them and the surrounding area… many people adjust the values for brightness and contrast to higher levels in order to get the intensity of color and black contrast they desire. If the environment you’re watching the screen in already helps boost the contrast and creates a better looking image on the screen then you can turn the brightness back down. Now that we’ve discussed the benefits of HD TV lighting, (and you are interested in purchasing a lighting system) let us recommend a brand. 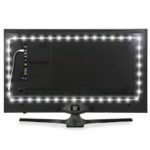 Luminoodle is a brand of LED lighting strips that you can mount to the back of your television. Easy to order, and even easier to install; these lighting strips come highly recommended from previous purchasers. You can even get a 15% off coupon by using the promo code found in this article from Deals.Kinja. After spending time reading through reviews and doing your research, you want to get the best you can from your tv. So trust GreenLink Technologies Inc. to mount it and look into adding a HD TV lighting system. With the right lighting set up, you can enhance your television’s contrast, reduce your eye strain, and even extend the life of your tv. Access Control and GreenLink Technologies Inc.
Access control limits access to campuses, buildings, rooms, and physical IT assets. Have you ever seen an employee swipe their badge or a key card in order to unlock a door? This is a simple example of access control. Access control can be used to control entrance access to a building or from going room to room. What is included in an access control system? Access control systems can be customized to match your exact needs. This includes card readers, access cards/badges,video doorbells, door magnets, and even motion sensors. Each system can be programmed to include over 100 cards/badges and even programmed to be open for a set period of time during the week. Let’s start with the card readers. 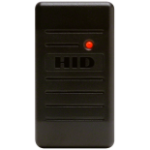 This HID reader combines multiple configuration options with an attractive inconspicuous design that comes at an economical cost. These card readers are powered through a simple two wire connection and is ideal for both indoor and outdoor use. These card readers are compatible with the market’s most popular proximity cards. They come with multiple covers of different colors to suit your aesthetic needs. 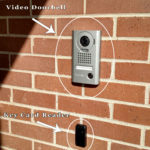 A video camera and an intercom, this series of video doorbell conveniently identifies visitors at locked doors. These doorbells come with an inside station that allows you to converse with the person at the door and buzz them in. These stations feature easy to use touch buttons and a large 7″ video screen. The magnets we use come enclosed in a steel frame and can be used on security doors, gates, and other areas additional security is desired. 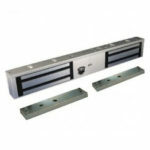 These maglocks create an extremely powerful magnetic bond to ensure security without emitting any residual magnetism that could adversely affect other components of the door. 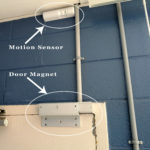 These motion sensors offer basic and full-featured models to suit every access control situation. These quick install sensors are extremely flexible and contain built-in internal “tamper proof” shutters to enable precise target area detection. They are built to de-magnify a maglock when it senses a person approaching a door from the inside, headed out of the door. This motion sensor means there is no need to swipe your way out making it easier to get around. Now that you know about the technology, let GreenLink Technologies give you an estimate. We will build an access control system to best suit your needs. Give us a call or send us an email now! So you’re building your dream home? Looking to begin construction on your new home? You’ve picked out the window treatments, bathroom tile, and even brand of refrigerator. Now all that is left is to choose a security system to keep your family and brand new home protected. This is where we at GreenLink Technologies Inc. come in. With state of the art video surveillance cameras and home security equipment, we keep you protected inside and out. 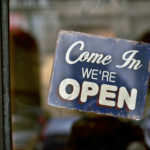 Just move into a new business space? You’ve done your market research, filed all of the proper paperwork, and moved all of your equipment. Now make sure you and your new space is secure. Now all that is left is to consult with GreenLink Technologies Inc. about a custom security and video surveillance system. Keep your new business safe and secure. Watch over your new home with a state of the art security cameras system. These days, security cameras systems are becoming more and more affordable. Cameras are extremely effective at catching crime on video and prosecuting criminals. They are also equally as effective in preventing crime from happening. We will provide you with the expertise that you need to decide what system you need and, assess exactly where your home is at risk. Every home or business has its own unique video surveillance needs. Our qualified technicians will come to view your property, and discuss your surveillance needs. Once we have established what you are looking to cover via cameras, we will build a specific package built to best suit your needs. Our cameras come either in analog or IP and range in megapixel. For added reassurance all of our systems can be made to view from any web connected device. While you are out and about away from your new home you can login and take a peek at what is happening at your home. Our specially trained technicians will not leave until you have been trained on your new system and all of your questions answered. We will also gladly talk you through any questions or concerns you may have over the phone. From glass break sensors to control panels, we will have your new house covered and secured. From door and glass break sensors to state of the art keypads GreenLink Technologies Inc. has all of the technology to keep your home totally secure. Honeywell keypads feature on-screen video, Z-Wave® automation capabilities, advanced alarm communications, remote monitoring, and much MUCH more.These panels come complete with a Connect app that provides consumers with the ability to use an iOS or Android™ device to view video and operate the system on or off the premises. From door and window contacts to glass break sensors, GreenLink Technologies Inc. has all the technology needed to secure your home or business. Door/window contacts* alarm you to unwanted entries.glass break sensors alert you to broken glass. And motion sensors will tell you in which room the intruder is. Just like our video surveillance equipment, all of our home security equipment will be customized to suit your needs. Now that you know about the technology, let GreenLink Technologies give you an estimate. We will build a security and surveillance system to best suit your new home or new business. Give us a call or send us an email now! When looking to secure a large home or business property, running camera cable over long distances may not be the most aesthetically pleasing to the eye or even feasible. Do not fret, GreenLink Technologies has the solution! In previous blogs we discussed the basics, benefits, and applications of; wireless antennas, wireless access points, and IP surveillance cameras. 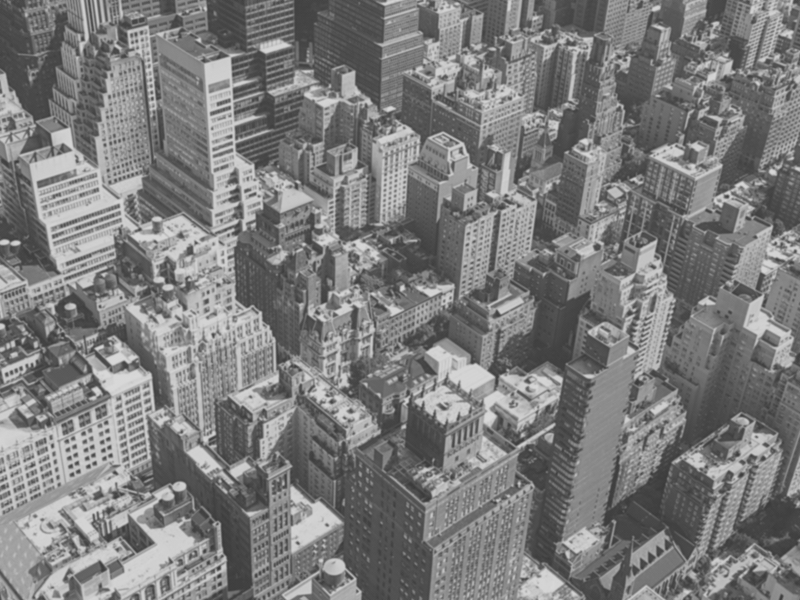 This blog discusses combining all of this technology into one super powered total surveillance system. First let’s discuss what each of these pieces of technology are and how they work and then we will put them all together. A point to point wireless internet antenna is used to beam wireless internet from one location to another using the internet you already have. This technology is great for sending your wireless internet across your property to another building, thus allowing you to have wireless internet using your existing network. With no limit as to how many antennas you can have on your network, these wireless antennas make for a great money saver! It is important to note that this only works as long as the antennas are within line of sight of each other, meaning there is a clear and unobstructed line between antennas. The process is actually quite simple. The first antenna is plugged directly into your internet router and placed outside of the building. The next location you are looking to have internet is then equipped with an antenna which receives the internet signal from the first. 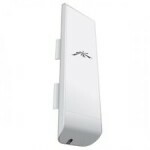 This antenna then distributes the wired or wireless internet signal through out the location. This process is then repeated as many times as needed until your whole property has internet coverage. An access point is a piece of equipment (as seen in the above picture) that connects directly to your internet router via an ethernet cable. The access point then broadcasts a wifi signal up to 600 ft from the location in which it is mounted! This technology is incredibly useful for homes and business with more than one floor. An access point is placed in a location that does not receive or receives a weak signal from your current wireless router. An ethernet cable is then run between the two pieces of equipment with the access point beaming wireless internet from your router to the designated area. The internet being provided by the access point is the same as the internet coming from your router, it is just now accessible in other areas of your property. An IP camera sends the video back to a web based server called an NVR (network video recorder). The camera itself is considered “smart”. Each camera is actually a miniature computer that can be programmed, or manipulated to perform certain functions at the camera level. It also has more zoom capabilities that enable a person to zoom into an object or event, while still recording the entire original view simultaneously. 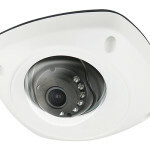 There are also IP cameras that are known as “de-centralized” IP cameras. This means that they have the ability to store data or footage within the camera on the camera’s hard drive. The footage can then be retrieved via any user that is given access to that camera on the network. Also, IP cameras operate on a single CAT5 or CAT6 twisted pair copper cable. Each pair within the 1 cable can provide video, 2-way data transmission and power. Now you ask how would we combine all of these devices to create a total surveillance system. Good question. When you have multiple locations needing video surveillance coverage but do not have wireless coverage in those areas, you will need a wi-fi antenna to beam your internet to these said locations. After the antennas have been set to send and receive a signal we will then connect the antenna to an access point via ethernet cable in order to broadcast a wireless signal to this location. After this we will place your IP camera in the desired location and connect it to your access point. Voila! You know have video surveillance coverage in an area that wasn’t possible before without having to run that ugly cable all the way back across your property! Give GreenLink Technologies a call today and let’s get started! Ready to install a total surveillance system on your property? Have questions? Give us a call or send us an email now and let GreenLink Technologies give you an estimate. 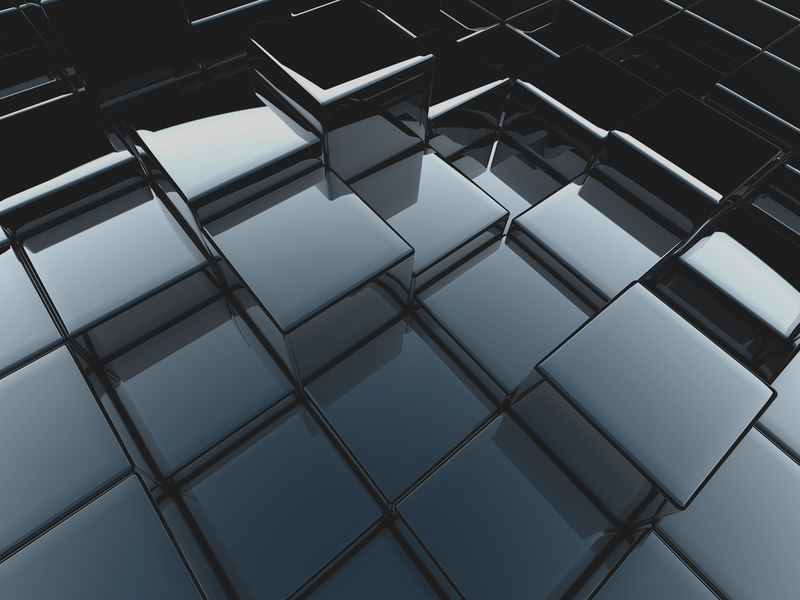 Have you imagined what it would be like to have a fully or partially automated home? We are talking about more than just turning off your lights and adjusting the thermostat (although that is possible also). Well now it is within your grasp! 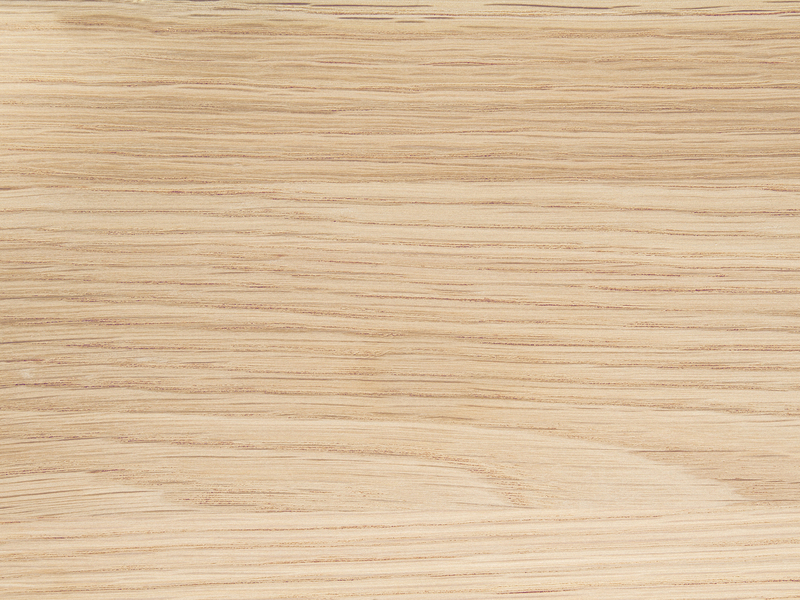 Smart home hubs and devices are becoming more affordable and more simplified each day. For many years, the automation technology just wasn’t friendly with each other, each Hub was programmed to only work with its own device. Now, with the help of Z-wave wireless technology, smart home hubs and wireless devices are more simple and affordable than ever! Let’s discuss the automation technology available for you! 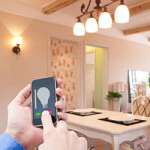 The most simple implementation of home automation is automated lights. Automate your lighting by installing a z-wave light switch. This light switch will sync to your smart home hub, allowing you to see which lights are currently on within an app on your phone. With the push of a button on your phone you can turn your lights off from anywhere. Save on your electricity bill and never worry about whether or not you left the light on again! 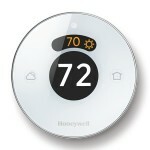 Wi-Fi thermostats are the next evolution of heating and cooling control in your home. They build upon the basic temperature setting, scheduling and digital interface options of non-programmable and programmable thermostats with a variety of added features. Some of these features include improved energy efficiency and feedback, remote programming, geofencing, learning and alerts. Once these Smart Thermostats are synced up with a Wi-Fi router, you will have remote access from a computer or via an app, all from the comfort and convenience of a smartphone or tablet virtually anywhere you access to the web. The future of comfort control is now – no matter where you are, a Wi-Fi thermostat keeps you connected to your home with control in the palm of your hand. Now on to automated locks. Our automated lock of choice is made by Schlage. Schlage has made it simple for their customers to sync their product to multiple home automation phone apps as well as to use in person. This technology even makes it possible to lock and unlock your door from anywhere or even to automatically lock/unlock when you have reached a certain distance from your home. 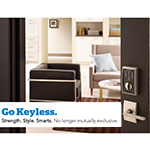 Schlage has many available products that range from digital keypads to lone deadbolts. No matter your need or preference we are here to help you choose and install your automated lock! Every automated system needs a control panel, our recommendation – the Lynx Touch 7000. In addition to the security capabilities of this panel, the Z-Wave connectivity module lets installers integrate security, lighting, thermostats, water valves and more – for local and remote control. 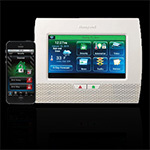 With Honeywell Total Connect™ Remote Services, users can control security, thermostats, lighting, locks, receive alerts and more from most smartphones, tablets and computers. Now that you know about the technology, let GreenLink Technologies give you an estimate. We will build an automation system to best suit your needs. Give us a call or send us an email now! 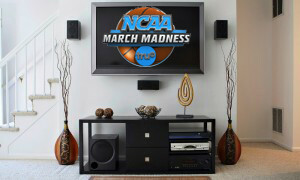 It’s basketball season and March Madness is approaching quickly! Take your fandom to a whole nother level by creating a top of the line home theater system. Home theater projects can range from a simple project to an all out audiophile’s dream. 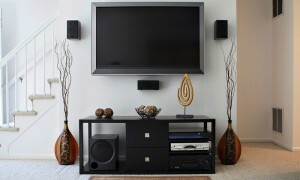 A good example of a simple project would be to have us mount your TV, install a sound bar and install a subwoofer. This setup looks and sounds great and is all that some of our customers desire. A good example of a larger project would be to have us design a 5.1, 7.1 or 9.1 channel surround sound system in your home theater space. It starts with the TV. If you’re in the market for an LED TV, 4k TV or an HD projector, we can help you choose the right one for your space. Next up is the receiver. Choosing the right receiver for your needs is very important. We can provide you with the knowledge and expertise necessary to choose the right receiver to fully maximize the sound that you are looking for. Then, there is the speakers. Our technicians are masters at getting cabling where you might think is not possible. Getting the right speaker in the right place is critical to achieving the full sound effects that a surround sound system is designed for. We sell top notch brands that will exceed your expectations every time. Finally, we can help you with lighting options and even theater style seating. Don’t hesitate any longer, give us a call or send us an email now and let’s get started on putting together your dream system! Our last blog discussed the advantages and the money saving potential of beaming internet across your property via WiFi antennas. This week we discuss the advantages and money saving potential of doing the same within one building. Using WiFi access points, we have the option of transmitting internet throughout your whole home or business without purchasing or leasing more equipment from your internet service provider. The advantages of using access points? The first and most obvious advantage is that a wireless internet connection will be available through your whole home/business. The next advantage is not having to purchase or lease a secondary router from your internet service provider, saving you from a monthly fee that adds up over time. Finally, the slim and sleek design of these access points is much better than the eye sore that are the big, bulky, and tangled cable mess of internet routers. 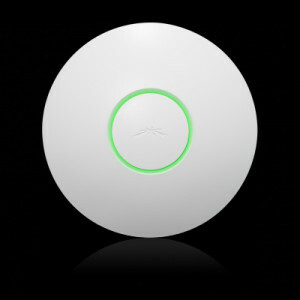 Ready to purchase your wireless access point? With all of the benefits in efficiency and cost effectiveness, this is a piece of technology not to be overlooked. Contact GreenLink today and a certified technician will be happy to answer any questions you may have. Let GreenLink Technologies Inc. connect your whole home or business. What is a wi-fi antenna? The first and most obvious advantage is the money you will save by not having to purchase multiple subscription modems and routers from your internet service provider. Your whole property will have internet coverage all the while still only paying your regular fee. Give us a call today, a certified technician would be happy to answer any and all questions you may have! The first step in getting the most out of your television viewing experience is finding a location for your television and choosing the correct television mount that suits your needs. Listed below are a description of each of the television mounts that we offer and how each one works. Take a minute to become familiar with our products so that we may be able to best serve you! The preferred television mounts of most customers is the full motion television mount. This mount allows the viewer to actually pull the t.v out away from the wall, turn it to the left or the right, as well as adjust the tilt of the t.v. This mount allows the viewer much more freedom as you can literally point your t.v in the direction that you plan on sitting (or standing) while watching your show. When you are ready to sit back down on the couch, this mount is can be turned back to a straight on view and pushed back against the wall. All done with little to no effort on your part. The preferred wall mount for those who do not need to see their t.v from anywhere in the home except for the main viewing area. This t.v wall mount has a limited span of movement, limited to only tilting up and down. There are handle adjustments on the back of the television that twist and loosen to allow the t.v to tilt up or down according to your needs. 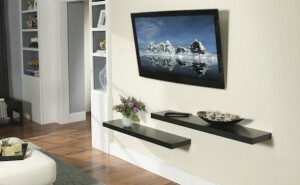 The wall mount of choice for those who do not need their t.v to move what so ever. The location that the mount is placed, is the final location. This mount is best suited for a guest bedroom or any other room that does not have frequent viewers. Please feel free to call or email us with any questions that you may have. A technician will be happy to get back to you as soon as possible!